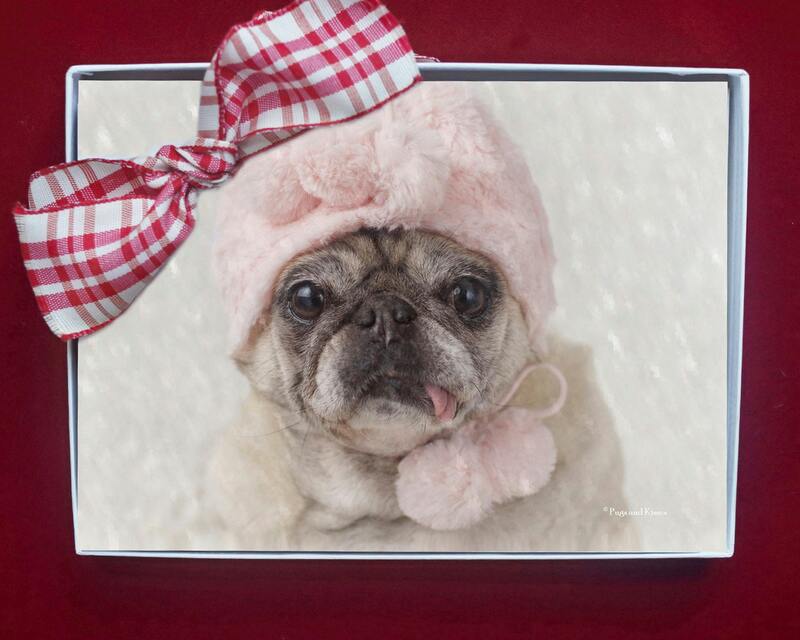 This item is a BOX of 10 "Let It Snow" 5x7 holiday cards by Pugs and Kisses. You SAVE 25% off of the individual card price when you buy this adorable 10 pack! 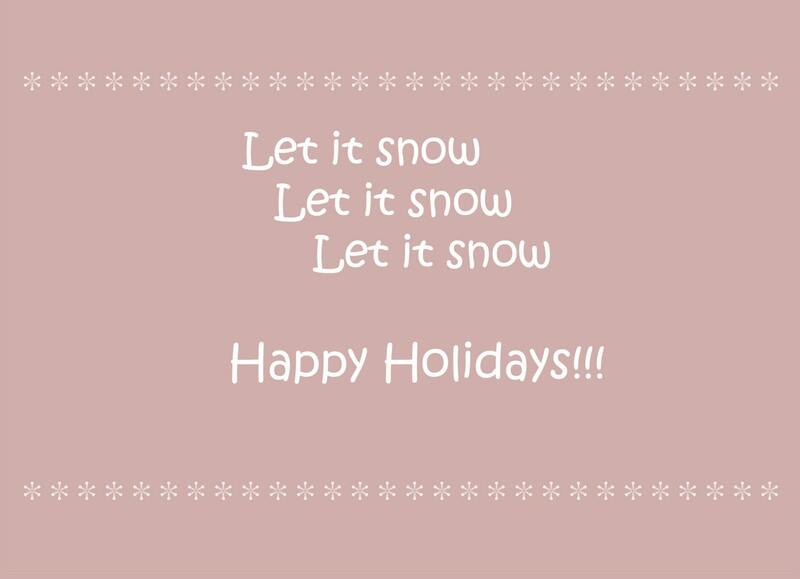 "Let It Snow" is an adorable new 5x7 holiday greeting card. 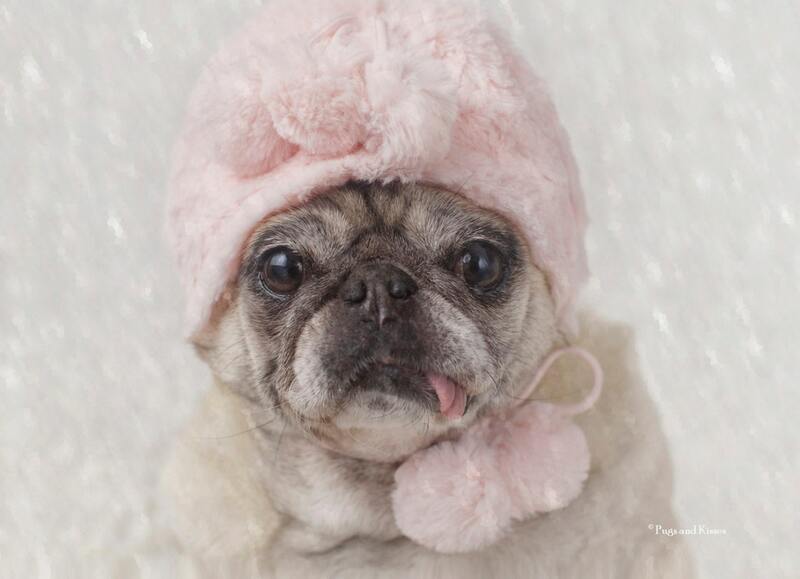 These cards features precious Clara Francis de Pug all bundled up in the snow. Her cute face is sure to spread lots of cheer this holiday season! We've been told that sending out a Pugs and Kisses card is as fun receiving one. You'll be smiling all the way to the post office!